ST1X models now in stock. 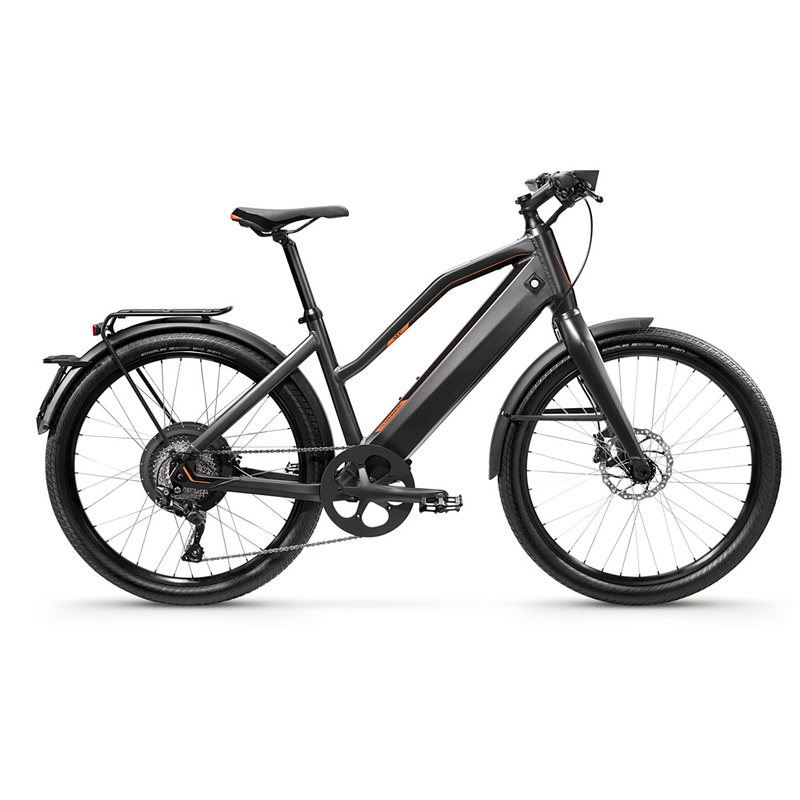 The Stromer ST1X is a premium electric bike, that adds style and colour to your commute. Four stunning colours available in both Sport and Comfort versions offer personality and performance. 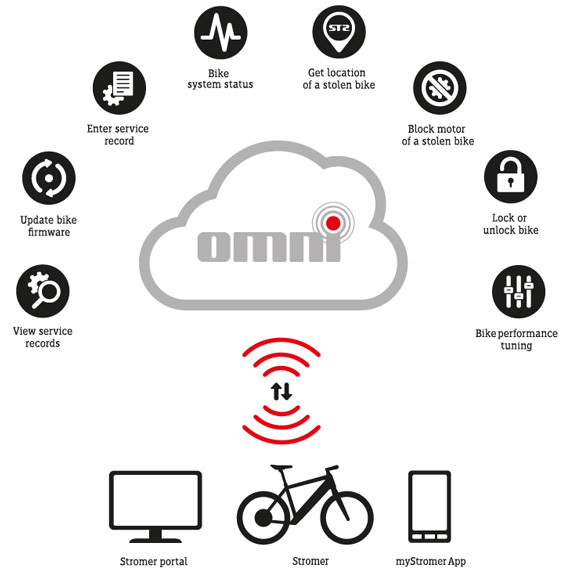 With full access to Omni-Cloud, you can track your bike via GPS, manage drivetrain settings and remotely lock and unlike at any time. This even extends to system maintenance and remote diagnostics from the Stromer team. Not only secure, the ST1X is a dream to ride. 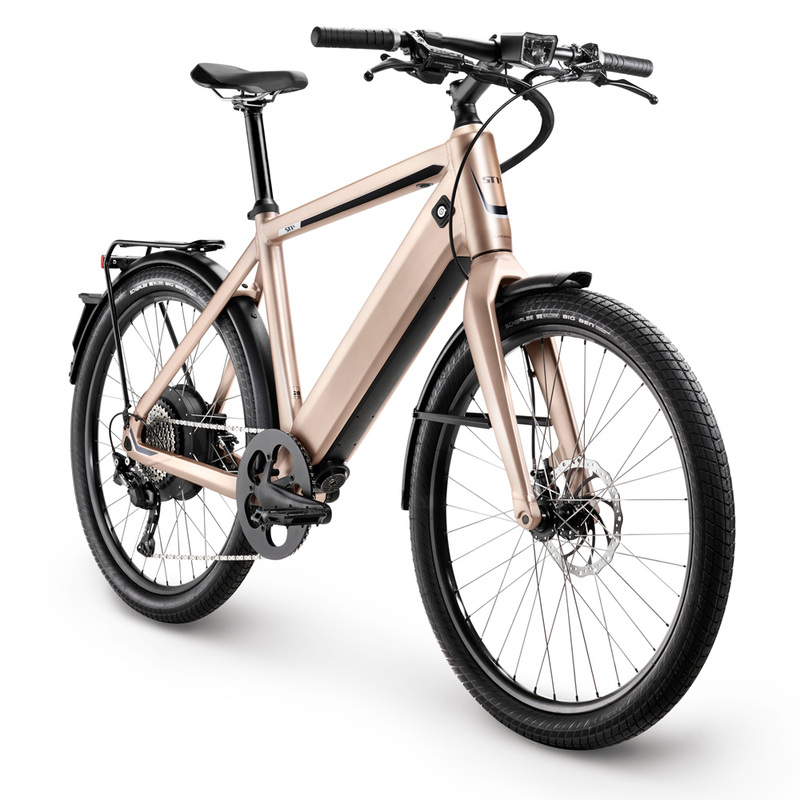 Made with the finest materials and constructed in Switzerland, it is a bike with few others in its class. UK Law compliant, it requires no registration and is delivered ready to ride. While brimming with technology the design is fully inclusive and all screens and cables are integrated into the frame already. 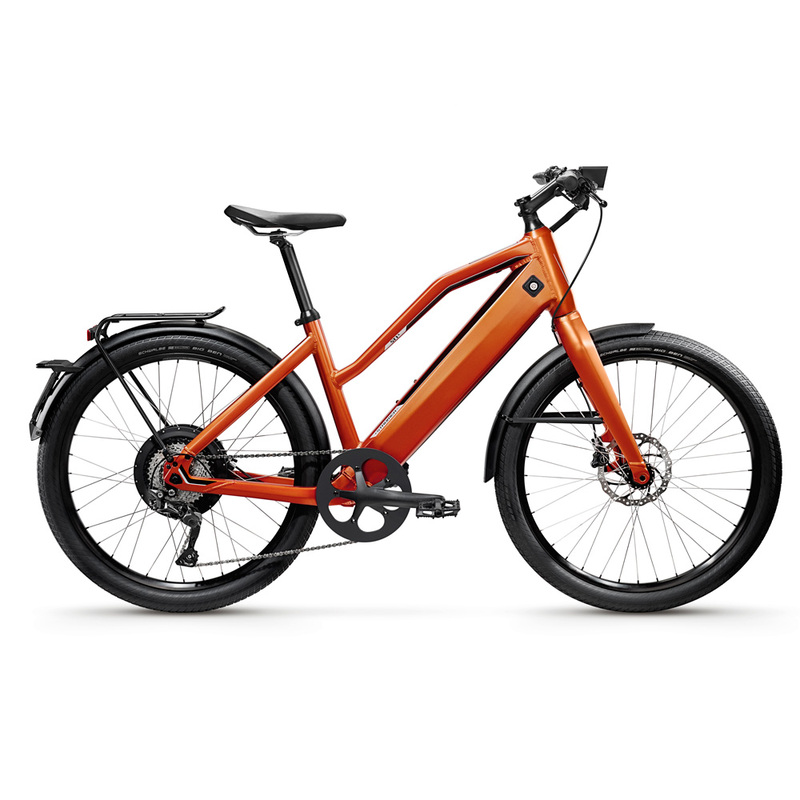 A powerful 250W motor powers you up hills effortless, assisting you up to a civilised and brisk 15.5mph - safe for use in bicycle lanes without any special licensing needed. 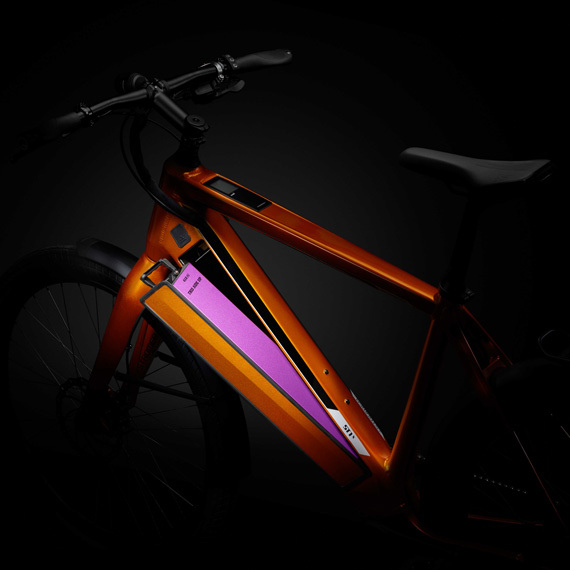 Although the battery is integrated into the frame, there is no reason why it shouldn’t be stylish and colorful. Consider what performance and range are best for you. What’s more, you can upgrade to the more hugely powerful 983 Wh battery at any time. 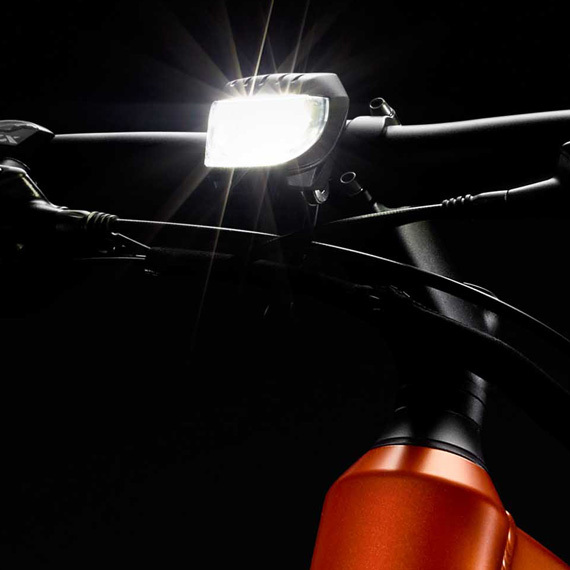 The Stromer ST1 X is a digital e-bike that exudes colourfully cosmopolitan design. 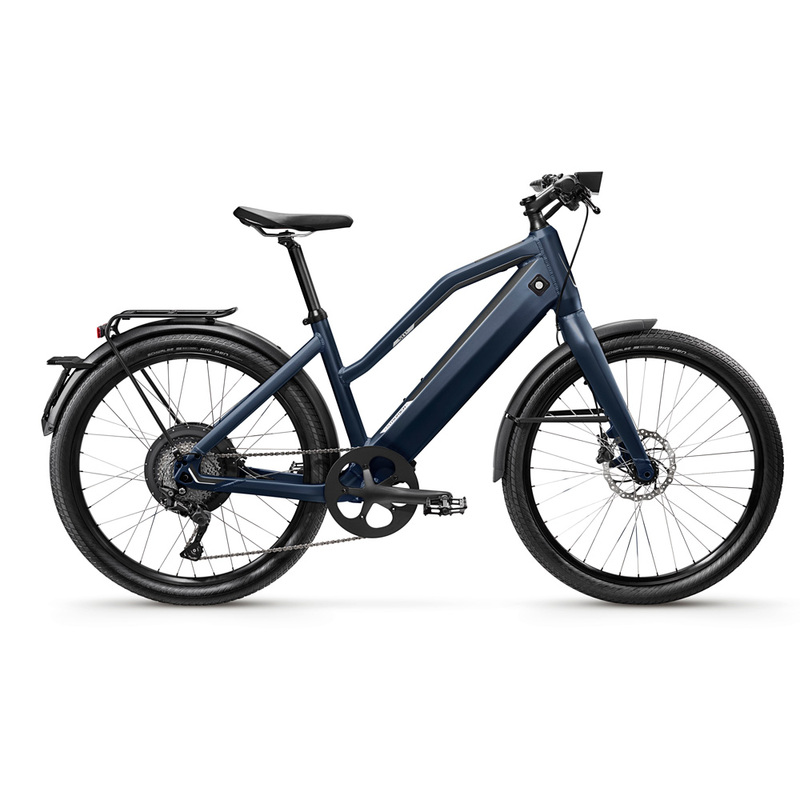 Our e-bike from the latest generation has a very crisp, streamlined look to it. 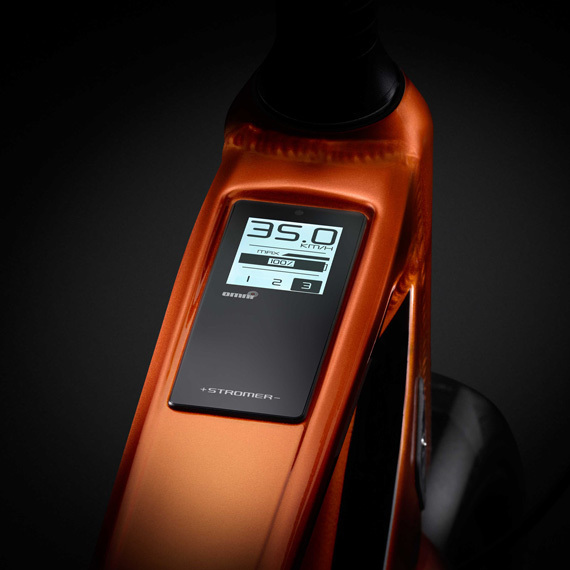 All of the componentry is tucked away inside the frame, with the touchscreen housed in the top tube, the battery pack in the downtube and the cables inside the frame. Battery range: The ST1 X covers up to 150 km (90 miles), with in-frame recharging or external recharging at any conventional power socket. Stylish colors: the new ST1 X is available in orange, charcoal, sand, ocean. 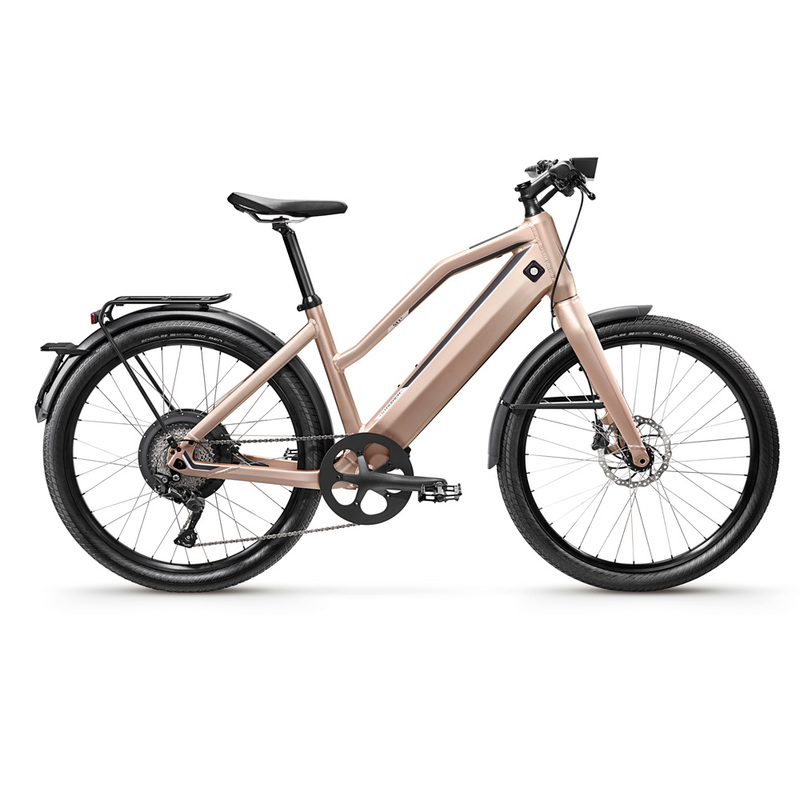 The Stromer ST1X offers undeniable style and customisation through 4 different colours, and is feature packed with integrated screens, remote tracking and updates as expected from Stromer. A powerful motor sees you quickly up to a top speed of 15.5mph. 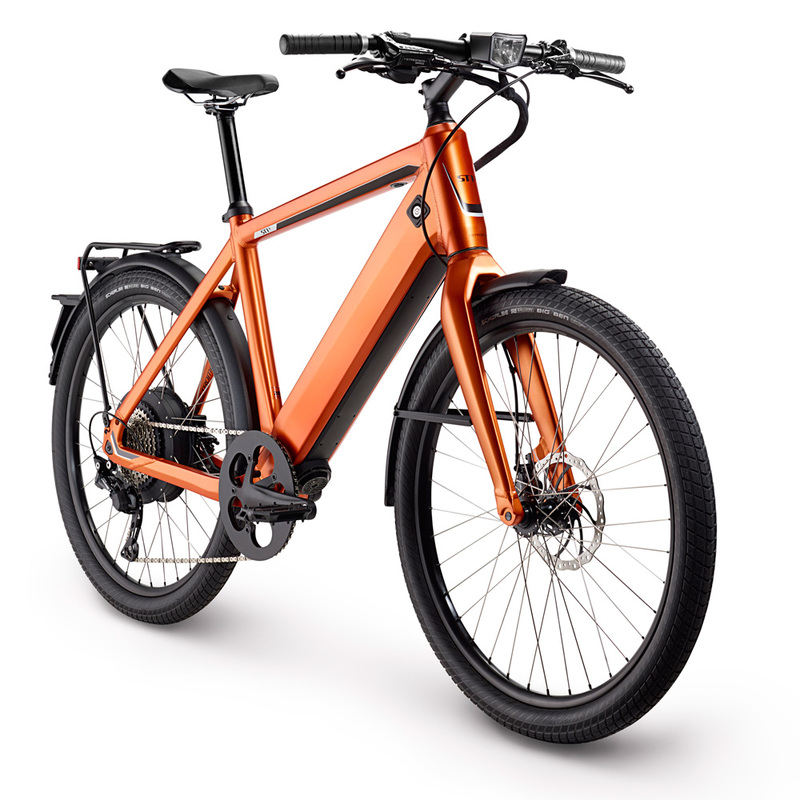 The battery has been beautifully integrated into the frame, creating a clean and stylish look that is also practical. The battery is locked away, with a door unlocking for easy removal for recharging. Simply slide into the frame. Want to go further? You can upgrade the battery at any time from three models. 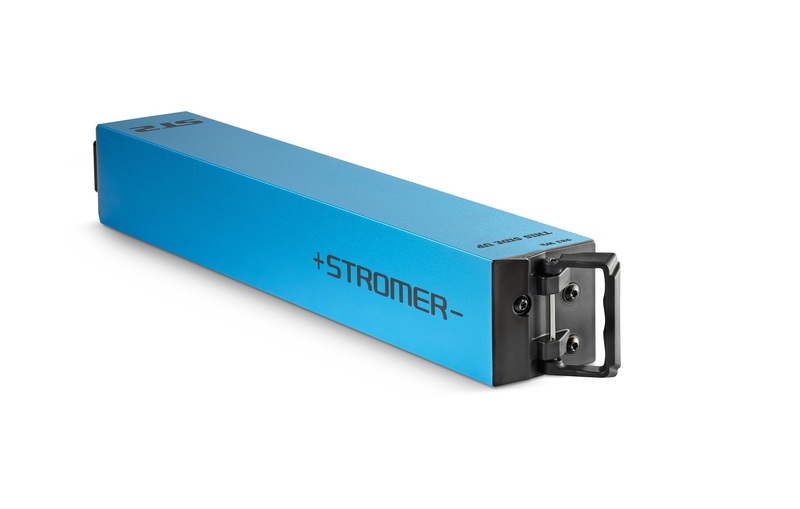 Stromer were one of the first to integrate digital connectivity with their bikes. Fitted flat into the frame, the LCD display shows you speed, power level and battery remaining as a percentage. This screen can be connected via Bluetooth to the SmartPhone app, Omni which also gives you the ability to remotely lock and track the location of the bike. Software updates are available remotely, reducing the need for you to visit a workshop to upgrade. All cables are fully integrated giving a clean aesthetic. 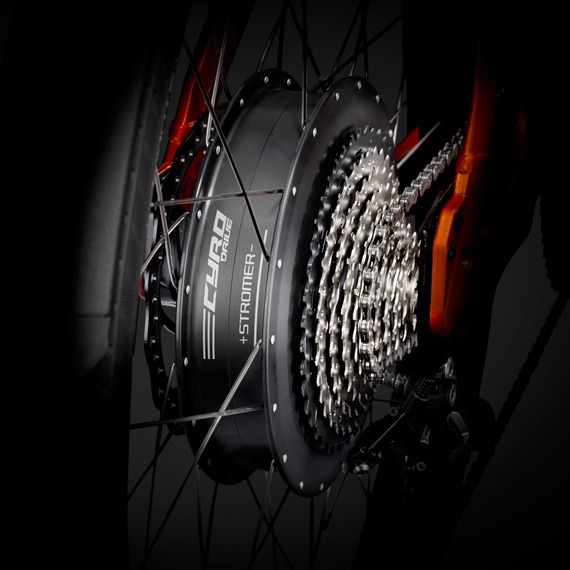 The powerful rear hub motor gives quick off the line performance and excellent hill climbing power. With 250W of power and 35Nm of Torque, few other ebikes come close in performance terms. TRP HD822 180mm hydraulic disc brakes give regenerative braking, capturing power as you ride to extend your range further. 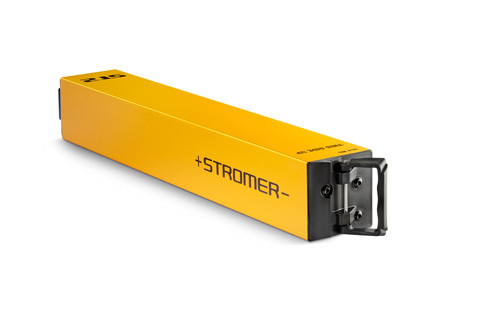 A Roxim X4 EP-ST delivers huge visibility of the road ahead, and is connected directly to the battery for maximum brightness at all times. Likewise an integrated rear Busch+Müller Toplight Mini ensures other road users can see you braking. 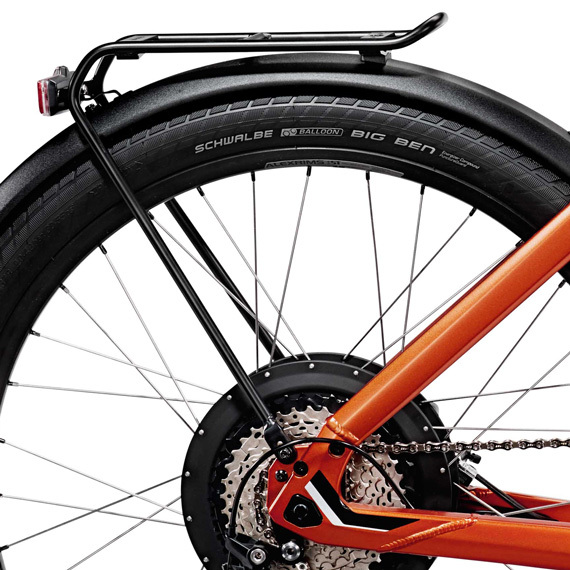 The Schwalbe Big Ben 26" Tyres give grip and control in all weather conditions. 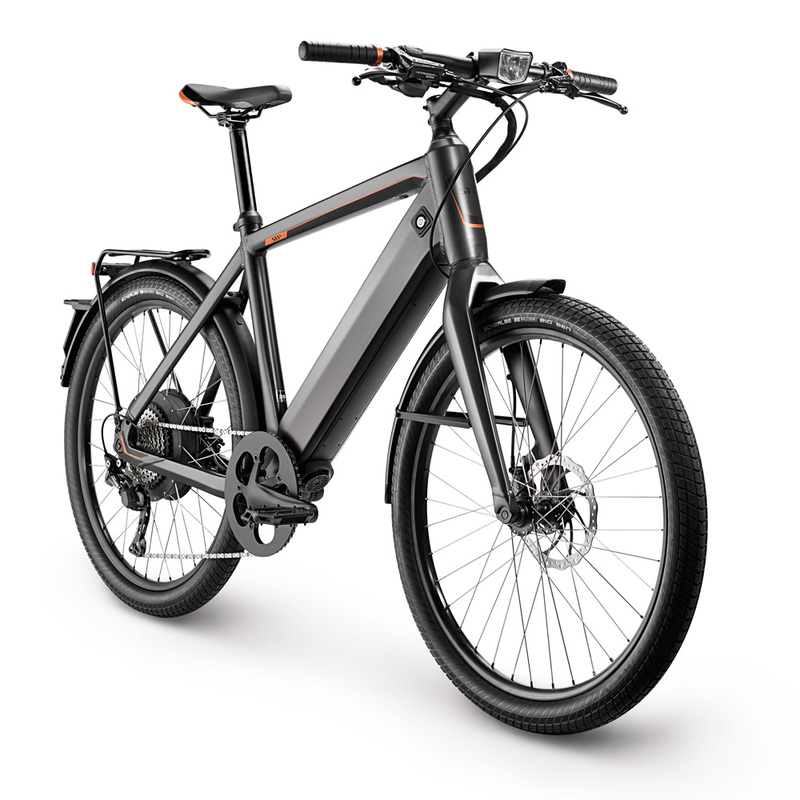 The Stromer ST1X is build solidly, too, with no rattles, creaks or quirks. Just a silent, powerful ride. The Kickstand is controlled by you - a manual drop or retract as you set it. Unlike auto-sprung stands, this avoids the embarrassing situation of a gentle knock of the bike causing it to fall over. If your locked bike is moved, then you recieve a text message informing you while the lights on the bike begin to flash and motor disabled. 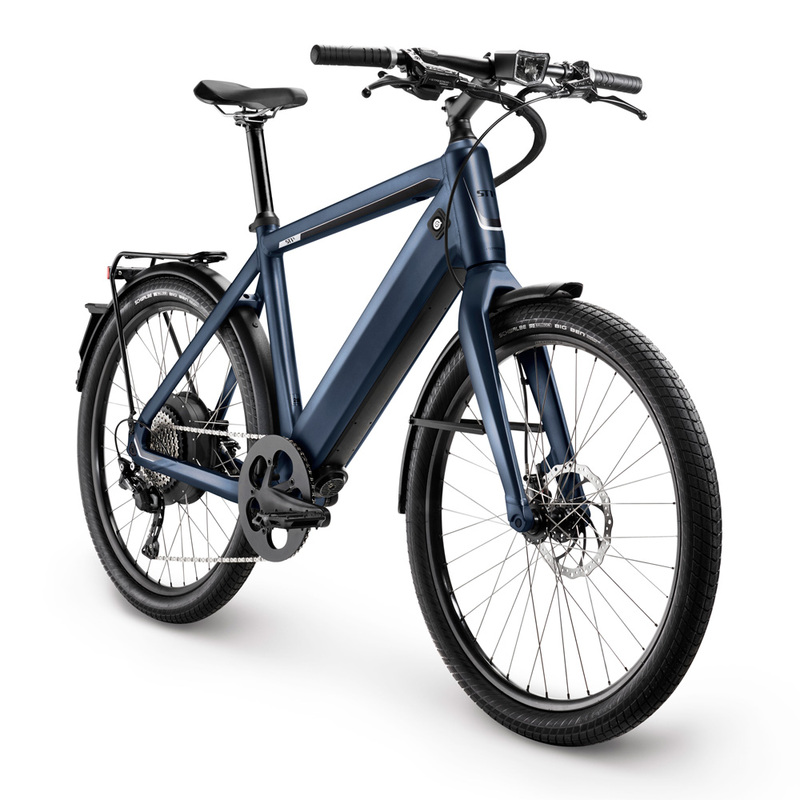 The Stromer STX1 is the ultimate electric bike capable of 15.5mph.